Stranded on our earth over five years ago, these two heroes from Earth 2 are forced to fight evil in strange new surroundings, all while trying to find their way home. 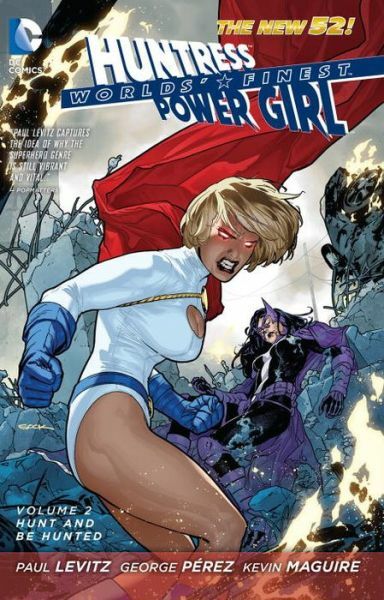 Power Girl and Huntress continue to find links back to their home world, but are derailed by mysterious attackers who have connections to Michael Holt, a.k.a. Mister Terrific. What could their old ally have to do with a group that wants the Worlds’ Finest dead? Paul Levitz and artists George Perez and Kevin Maguire continue their critically acclaimed run on WORLDS’ FINEST VOL. 2, which collects issues #6-12.